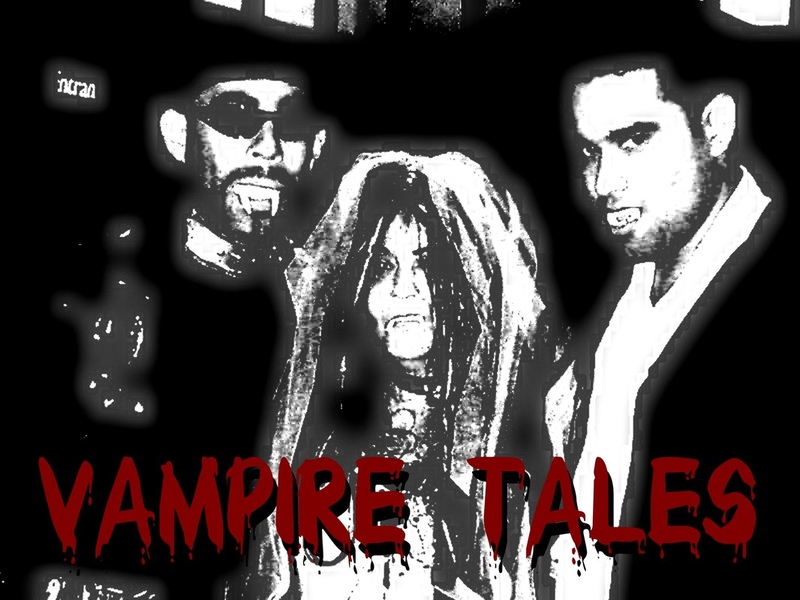 Vampire Tales, with myself, Jeffrey Calderon, and Jenny Calderon as the vampires. Three Gothic tales focusing on a vampire covenant, as they rebuild their strength after a hundred years of slumber. This trilogy was originally intended to be a series of home movies made during each Halloween weekend, but we only ended up making the first film. It actually wasn't too bad for a home movie. Anyway, the only way I knew I'd be able to complete the series was to write it out as books, instead. Three vampires awaken after a hundred years of sleep, only to find things have changed quite a bit. While hunting prey, Vincent comes across a girl, who reminds him of someone from his past. The vampires reunite forming a new covenant and the origin of the Queen.